Hallways. Bringing the outside in! Anyway as I start to transform this hallway one of the first things I thought about was bringing some outside elements IN! You see, I love Paris. not HILTON. The city. I’ve never been. Don’t know if I ever will. But I know by looking at pictures and posters and books, I LOVE IT. It completely makes my heart do back flips! The cobblestone streets, the iron scrolled gates..the contrast of wet glistening sidewalks against the old white buildings. The flowers in the windows planted in a cute window boxes. I have this one picture that use to hang in our apartment when we were first married…whenever I come across it I just sit and stare and draw inspiration from it. One of the things that caught my eye were the wrought iron signs that hang above each boutique or quiet coffee shops. Something that most people wouldn’t notice because it hangs high and out of sight, but definitely adds to the unique landscape of the streets. So with that being said I decided to add my own signs to my hallway. 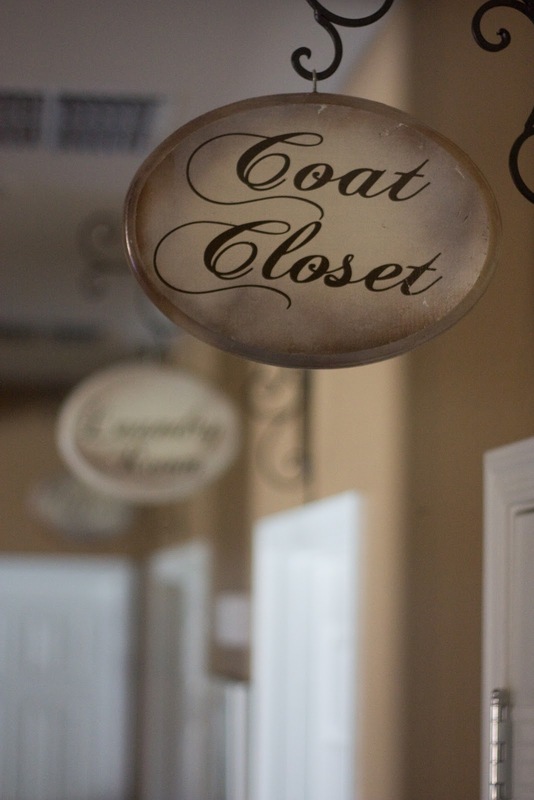 I have three doors leading to the half bath at the end of the hallway…the coat closet…the laundry room and the office. So come along and see how I did this! So this is my hallway before we moved in with the nasty carpet. You can also see the three windows I’m talking about and the doors…office, laundry room and coat closet which you can’t see because I’m standing next to it! 3 wooden signs in a oval shape -use a coupon!!! 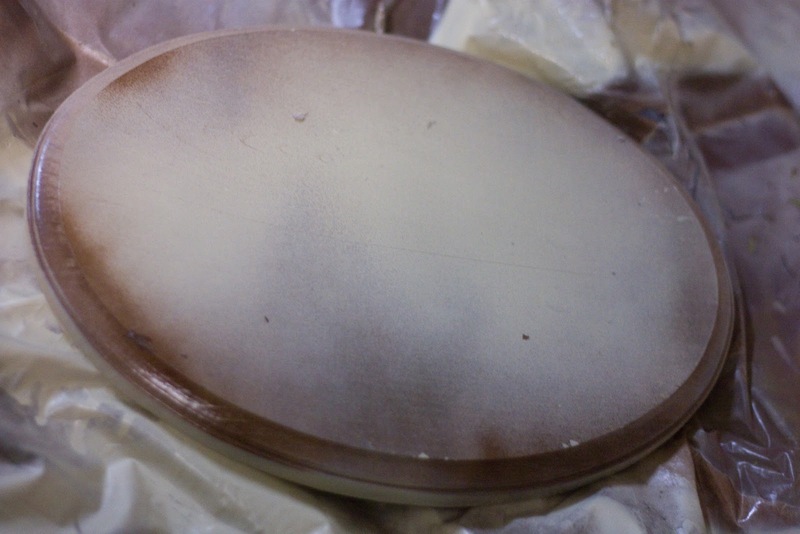 First I lightly sanded the oval shapes…. 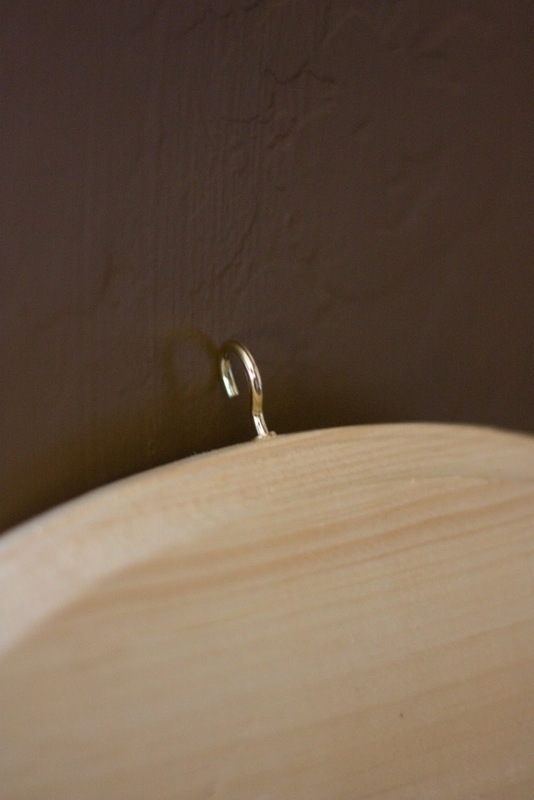 Then I screwed in a little brass hook and headed to my spray paint haven and found ALMOND and some left over LEATHER BROWN…yeah that should work!!! Then I started to just spray until I got the LOOK I was going for. First I started with almond…. 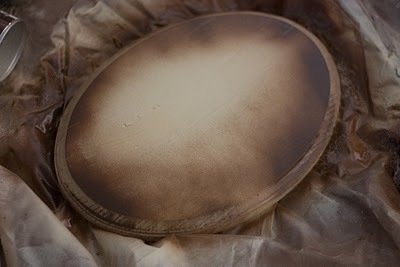 Then I added the leather brown, to create a vignette. After letting them dry for a few hours I added these vinyl signs that I had custom made by Shelley over at Wonderfully Wordy that cost me about 8.00 each! (I “talked” to her via email and she’s such a doll!) Check out her blog diggity on my blog roll….House of Smiths! 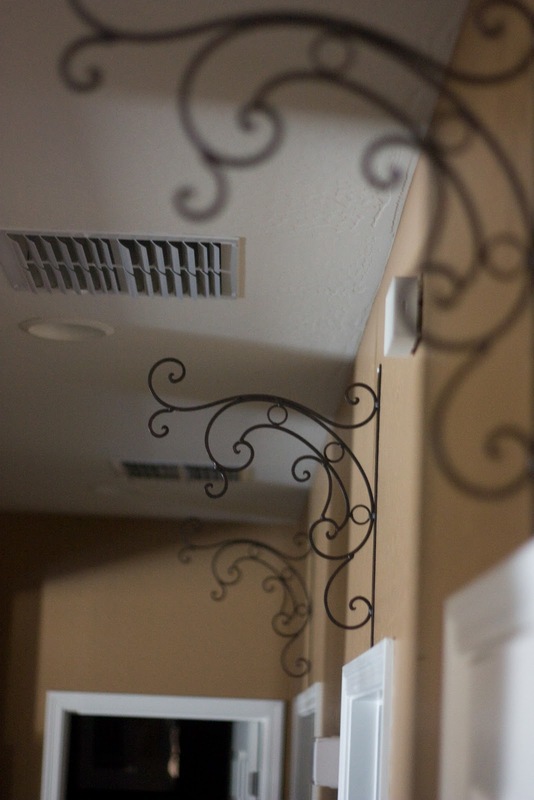 After that I hung up my brackets over each door……. and then hung them UP! I LOVE IT! PERFECT PERFECT! Makes me so happy every time I walk down the hall! Now…… about that hallway paint color…lol! I think its screaming for some cool wallpaper! You already know how I feel about these! Great job! I LOVE it! What a fabulous idea! Thanks so much for linking up to my party! I’m so glad to have found you. I am going to be featuring you on my crafters ADD blog also, I hope you don’t mind!You can find that at http://craftersadd.blogspot.com/2010/05/hallway-signs.html. Feel free to grab a “You’ve been featured button”. Thanks for your crafty inspiration! Thanks girls!!! Miss Crafty Pants…thank you so much! :0) I can’t wait to grab your button!!!!!! Probably the MOST creative thing I’ve seen with ordered vinyl in …. A VERY long time! I’m TOTALLY featuring this on my blog! Very cute idea! I want a hallway full of doors so I can do that too!! SO cute! I reminds me of the French Quarter in New Orleans Square in Disneyland. What a great idea. Love it!!! That is soooo cool!! It reminds of a bed and breadfast! What a wonderful idea. Thanks for sharing … I’ve posted a link. you are awesome!!! I came to your blog from House of Smith’s. I love this idea!!! I’m following you to see all your great creations! p.s. you have a super-gorgeous family!!! I am dropping by via the Girl Creative. This is a great post and project. The look is so professional, well done! I LOVE this to pieces! You really jazzed up that hallway!!!! How totally cool! Wow! What a great idea! And I can’t believe you created three signs for sooo cheap! I love them! WOW!! What a fantastic idea! It looks great! So cute! Shelley is my sisters and she gets so excited to see all the creative things people come up with. 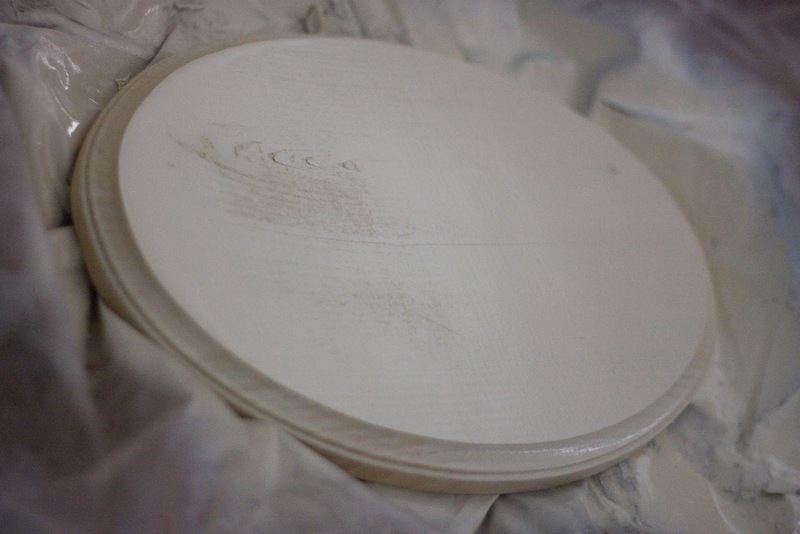 Love, love, love your plaques! Your blog is adorable! Hi, I’m stopping over from House of Smith’s and I am so glad I did. I love this idea it is so cool, you are so cool for thinking of this! AHhhhhh, I love it so much! Guess what, you have a new follower! SO CREATIVELY CUTE! I saw this on House of Smith’s. Your blog is so fun. Keep up the good work! You’re an inspiration. Wow, such a great idea, they are beautiful! but I still love you despite all your perfection. Found you through House of Smith’s. Wow! You’ve got STYLE. I love it! You have totally inspired me. I just saw you on House of Smiths and had to come take a look. What a creative project. I absolutely love it! so cute! love it. when I grow up and have a house, I think I’ll try this for sure! How Fun! That is such a creative idea! I love it and your blog! Thanks for sharing! I love it- such a great idea! Oh my word!!! I can’t even begin to tell you how much I LOVE this!! It looks so gorgeous, I am definitely adding this to my inspiration file!! This is my 1st visit at your blog and I will definitely be back! Definitely the coolest thing I’ve seen in blogland in a long time! I love those! Sweet! What a great idea! I absolutely LOVE it! This idea is so fantastic! I love how beautiful it it and yet how easily it can be done! Brilliant! Those are fabulous! Great idea! I am so copying this. 🙂 Love that nursery by the way, just darling. OMG! This is great! I wish I had a hallway with many doors now! :)Thanks for sharing. What a fun idea! Those turned out sooo great! I love those brackets. Too cute. These are so unexpected. A wonderful idea! Cutest Hallway EVER!!!!! I am featuring this at somedaycrafts.blogspot.com tomorrow. Grab my “featured” button. LOVE IT!!! So original! I’m going to do this over the weekend, thank you!!!!! Wow.. this is such a unique and gorgeous idea.. love love love it. Absolutely LOVE it!! Such a great idea and great photos too. Very Cute idea! It looks so wonderful. Really nice idea. It adds a lot. Thanks for sharing. I love your hallway!!! WOW! Just saw you on UCreate– and I L-O-V-E this! Thanks so much for sharing! This is the cutest idea ever! I just found your blog through u create, and I have to say, I love it. I loved looking at all your decorating, you have a beautiful style! DARLING idea!! I’ll be sending MY clients YOUR way now! Following you now! So fun to see another local blogger to!! Darn it! I wish I had a hallway like this because this is just awesome! Your project came out so beautifully! Well, that is just way too cute!!! If only I had a long hallway! The best part is the YOU love it. In the end, if you have something that brings a smile to your face. Great job. Just visiting your blog for the first time – and had to stop here to say that I adore this idea. 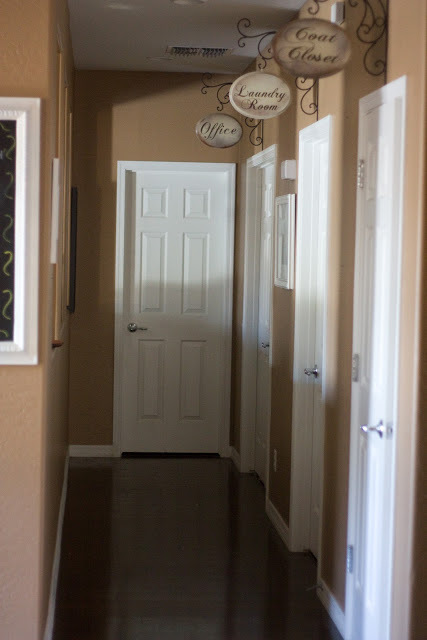 We’re waiting to hear about a contract on a home with such a lengthy straight hallway with really high ceilings and I thought this idea would be perfect! I have a question for you. When you did this, did you do both sides of the sign? Or, just the front side we see here? I love this idea! i can see it for kids rooms too, what a clever idea! I really love it, no, don’t wallpaper it is perfect!!! What a super cute idea! you have such a cute family! love it–ive got to show this to all my friends–it really spruces up a hallway! I love a clever idea! I’d make me smile too! Shazam! That is a sweet idea. I love it! What a brilliant idea! Especially for the downstairs where guests will be! I think our bathroom needs one of these!! I am going to feature it on my blog tomorrow! I SOOOOOOOOOOOO SO SO SO SO love this! I am going to do it down my hall too! We have a large house and I now I won’t have to say second door on e left anymore, I can just say follow the signs!! Love it and thank you so much for sharing!! 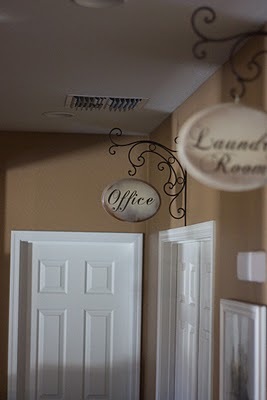 So cute~ what a great way to dress up a narrow hall~ what about adding some board and batten instead of wall paper? This is an absolutely creative and wonderful idea. The signs are fantastic! Love, love them. I’m in need of changing my bathrooms and I would love to see yours! I just LOVE this idea…funny thing I have 4 doors just like this and my sister gave me 2 plaques and I was going to put them on the doors, now I will copy you and get the other 2 made. Such a fresh idea, thanks…love your blog and glad I found you! I’ve never seen anything like that-looks awesome! Just found your blog from Childmade. LOVE this idea … so very cool! O wow, that is just a fantastic idea! It came out beautiful!!! I LOVE IT!!! I soooo want to do this now!!! I am your newest follower, love your blog! that looks absolutely gorgeous! I love the way it looks and it matches with the wall color PERFECTLY! Great job. Do you know what font you ordered? 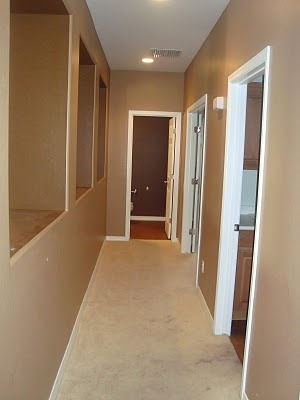 Your hallway looks so great! I love this idea. I will be linking your fabulous signs. Thanks for sharing. What an over-the-top awesome idea! It looks really, really good. Definitely old world. What a cute idea, sound through CSI project. Oh what I would give to have a Hobby Lobby near me for those scrolly brackets! LOOOOOVE IT! LOVE IT! This is genius, gorgeous, fantastic, etc. I only wish I had high ceilings so that I could copy you exactly. Nice work! That is so adorable. Fabulous job. Found your blog from another blogger and I love your sign idea. Love it! Im doing my daughter’s room in an Paris..European theme and Im so using this idea. I have tons of brackets around the house…and I use those wooden pcs to displays my childrens footprints…lol Thanks so much for the great inspiration. I just stumbled across your blog, and I love it!!!! 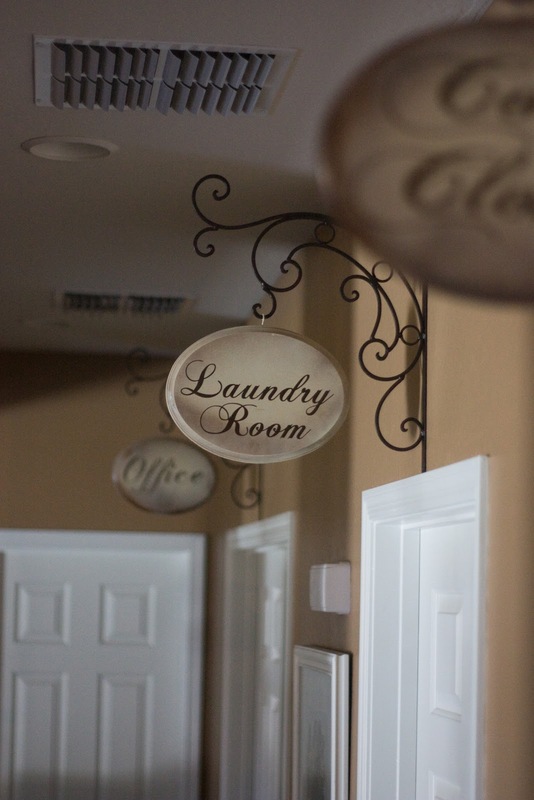 I love these hallway signs to! So clever! Using a signs plaques is closely similar in using bookmarks in book. You can separate your things by putting some marks or sign on it. It can be well-organized if you use this kind of stuff. love it all, even the color of the walls! ooops just notice the beautiful new hard wood floors. WOW! You have a great blog here and I LOVE this idea! TFS! OH MY GOSH!!!!!! I ABSOLUTELY LOVE THIS! I will definitely be doing this when I get a house! Thanks for this super cute idea! 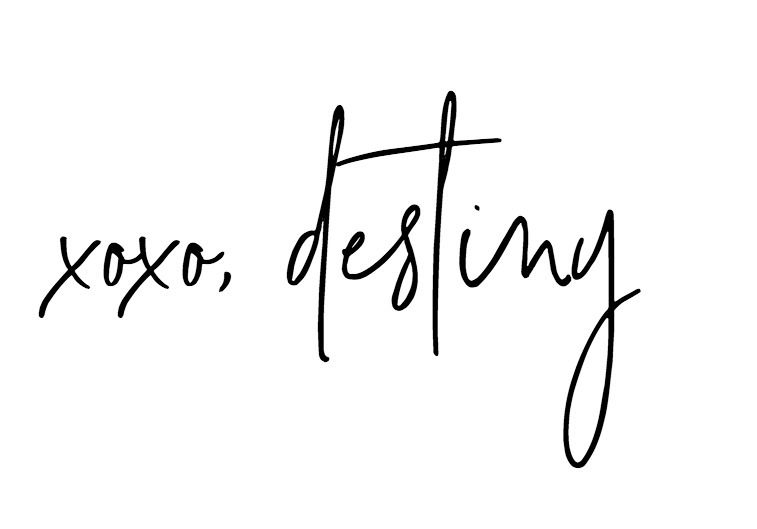 Destiny, I love your blog! How did you hang the wreaths on the door and where are they from? Thanks! 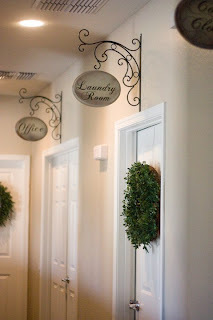 Can you please tell me where you purchased the Iron Brackets for the signs in the hallway? What size are your plaques? Love this idea!!! Ack!!!! I love love this idea and I loooooove your blog!!!! I can tell we would be fast friends if we lived closer – your blog gives off such a sweet vibe. Love it!!!! Love this idea. We are buying a new house that has a super long hallway with 5 bedrooms, a bathroom & and two closets off of it. This is going to be great. Thank you for sharing!!! I’ll try to remember to post some pics for you. Hi. Can you tell me what size plaques you used? I LOVE this idea. SO AWESOME!!! Hi! I’m really not sure about the size. I would say about 10-12 inches. I am finally in a place where I can do this, but I have been seriously unsuccessful in finding any brackets like this that would be suitable! From where did you acquire these? Love this! Love your site! I was looking for a way to dress-up my hallway and ran across this blog. Hobby Lobby doesn’t sell these products anymore. 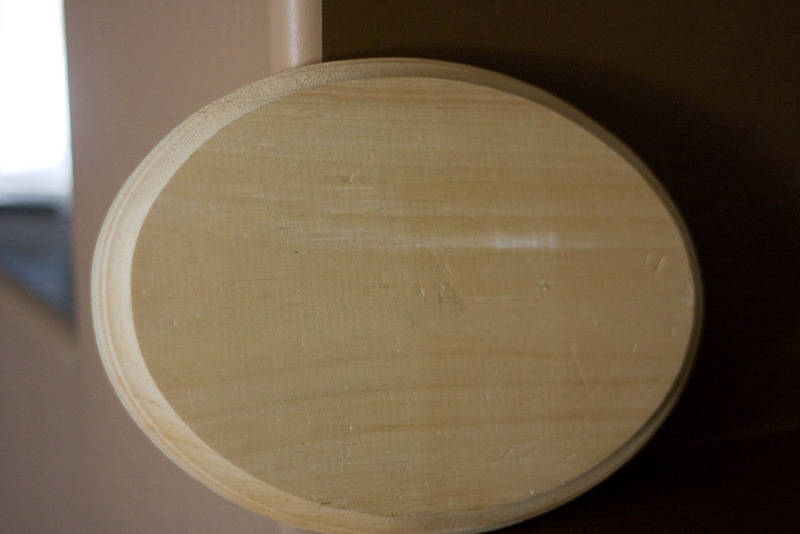 Could you tell me the measurements of the plaques and the hangers? Shelley is not doing vinyl anymore as well. 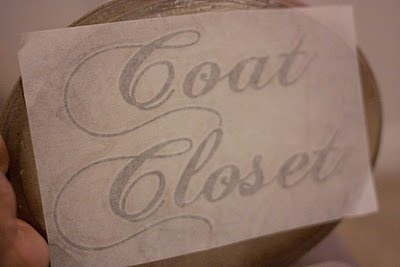 I found a site DIYLettering.com but would like to know the size of your letters as well. The plaques, hangers and wording I have all seem too small. Thanks!